MAUNA KEA (BIVN) - The Thirty Meter Telescope is joining the University of Hawaii in asking the state land board to replace Judge Riki May Amano as hearing officer for the upcoming Mauna Kea contested case redux. HILO, Hawaii – The Thirty Meter Telescope and the University of Hawaii agree with opposing attorneys taking part in the upcoming TMT contested case, saying the Board of Land and Natural Resources should replace Judge Riki May Amano as the hearing officer. The University’s made the same request in an official statement of position filed on May 25. On May 13, 2016, the lawyer for the petitioners opposed to the TMT permit filed a motion asking the state to reconsider the appointment of retired Judge Riki May Amano as the hearing officer for the contested case redux. Attorney Richard Naiwieha Wuderman reiterated his argument that Amano’s membership with the ‘Imiloa Astronomy Center, operating under the University of Hawaii-Hilo, constituted the appearance of bias and warranted disqualification. The University is the party applying for the Conservation Districy Use Permit for land on the northern plateau of the summit of Mauna Kea, which it plans to sublease to the TMT observatory. The land board set a May 26 deadline for parties to respond to the Motion for Reconsideration. 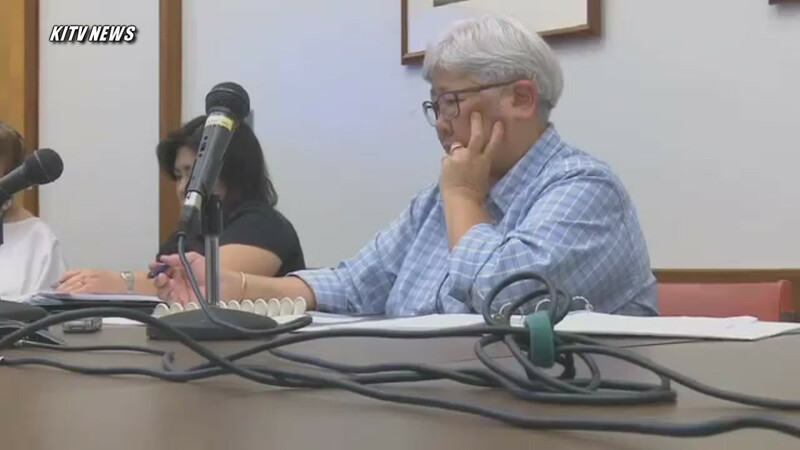 On May 25, the University of Hawaii-Hilo responded, saying Wuderman’s arguments were duplicative and insufficient, lacking merit and “do not warrant the relief requested”. UH also argued the contested case hearing “cannot be held hostage to petitioners improper delay tactics”. However, the University did request “respectfully and with great reluctance” that the Board proceed with a new hearings officer. The process of the first contested case derailed the TMT project last December, when the Hawaii Supreme Court ruled the permit invalid, in part because the land board approved the permit before the contested case was held. The justices said the quasi-judicial proceeding lacked the appearance of impartiality. TMT filed a Motion on April 8 to be admitted as a party in the Contested Case Hearing. TMT lawyers noted in the May 26 memorandum that they have been eagerly awaiting a decision on the Motion which was filed approximately 45 days ago. Judge Amano responded in a fifth supplemental disclosure, filed on May 25. Please consider this part of my duty to make ongoing disclosures as information continues to unfold in the course of this case. Civil No. 14-1-1963-09 mediation. This morning I was advised by the case manager of Dispute Prevention & Resolution, Inc.1 that Gary Takeuchi had called to advise he had learned of a mediation I was doing involving the University of Hawai’i at Manoa. Mr. Takeuchi was with Timothy Lui-Kwan at the pre-hearing conference on May 16th. He was inquiring about whether or not I had made a disclosure about the mediation, in the TMT matter. I emailed Deputy Attorney General Julie China immediately to ask that she contact Tim Lui-Kwan to inquire about the relationship between UH Manoa and the application of UH-Hilo for the CDUA permit. Mr. Lui-Kwan told DAG China that “UH and UH-Hilo are part of the same system.” On that basis, I disclose the following. The essence of the dispute per the Complaint is that Professor Kaiser wrote a preproposal for a Keck Foundation grant in 2007 that would fund a faculty position to manage the W.M. Keck Research Laboratory in Astrochemistry located on the Manoa Campus. After receiving the full funding under the grant, Plaintiffs allege that UH failed to fund the faculty position. The role of the Hearing Officer is diametrically different from that of a mediator. As a Hearing Officer, I am a fact-finder and decision-maker; in this matter, the Hearing Officer would be making Findings and Conclusions, and recommendations. A mediator helps parties reach an amicable agreement by facilitating discussions and negotiations. A mediator is not a factfinder or decision-maker. My limited understanding of this BLNR matter is that UH-Hilo is an applicant for a CDUA permit that would allow the construction and operation of a thirty-meter telescope on Mauna Kea. I have no knowledge or belief that the Civil case and the BLNR case are in any way related to each other. Under the circumstances, I do not believe any reasonable person would consider my service as a mediator in Civil No. 14-1-1963-09, to affect my impartiality as a hearings officer for this contested case hearing. If anyone has additional information that would change the circumstances of what I described above, I request that the information be provided to me as soon as possible. Amano also volunteered some additional information in relation to members of PUEO, the pro-TMT group asking to be admitted as parties to the contested case. Declaration of Patrick Le`o Kahawaiola`a. I believe I am familiar with Mr. Kahawaiola`a through my service as a judge in the Third Judicial Circuit from 1992-2003. I do not have any social relationship with Mr. Kahawaiola`a that any reasonable person would consider likely to affect my impartiality as a Hearing Officer. Numerous other application to participate in the contested case have been submitted, mostly from individuals in opposition to TMT, but there are also some in favor, as well. The deadline for intervention applications, motions or request is May 31, 2016. Responses are due June 13. Hearings on the applications will be in Hilo on June 17, 2016. The time and location has not yet been announced.